Grass-O-Matic Seeds offers 5 incredible Autoflowering seeds incorporating strong Marijuana genetics with autoflowering genes to produce high yielding, high quality automatic Cannabis. True Haze Marijuana strain in fast automatic style. Potent automatic Marijuana strain with an AK influence. Intense aroma and a powerful AK high. Good yielding Critical Mass that has an excellent leaf/flower ratio. Even in less than expert hands, it can easily reach and surpass a height of one meter. Pack of mixed autoflowering Cannabis seeds from the Grass-O-Matic automatic range. Find All The Grass-O-Matic Cannabis Seeds Below. 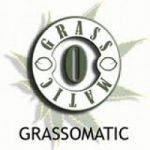 Buy Grass-O-Matic Seeds Online – Free Cannabis Seeds With Every Order – USA Worldwide Shipping.